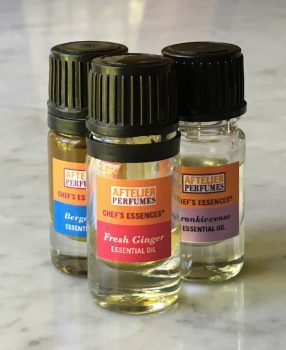 We just made an awesome test batch of ginger burnt sugar caramel sauce using Aftelier Perfumes Chef’s Essences “Fresh Ginger”. We followed a basic recipe for burnt sugar caramel sauce (1 cup sugar, 6Tbs unsalted butter, 1/2 cup cream) and added a good shake of Fresh Ginger essence. We worked with Mandy Aftel to produce a set of Chef’s Essences for chocolatiers and have a set available at our main store. We’ve been a little slow to make good use of these amazing essential oils and absolutes. They are a precious bundle of untapped potential. We can’t wait to explore them further. 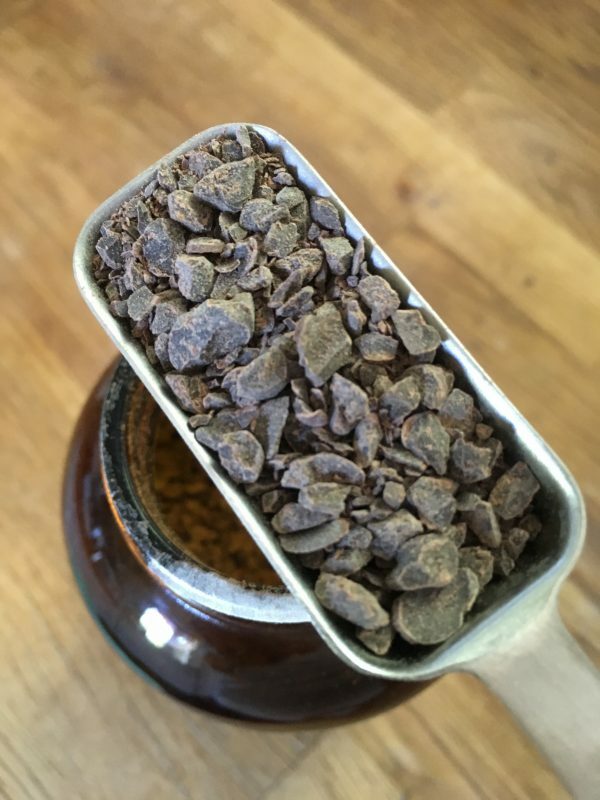 Based on initial trials they are very easy to use and can be added directly to chocolate to perfectly infuse the flavor. We currently have the following flavors available: Fresh Ginger, Bergamot, Frankincense, Blood Orange, Cognac, Fir, Raspberry, Cacao, Peppermint. Supplies are limited. Heat coconut milk and water over medium low heat until the mixture begins to simmer. 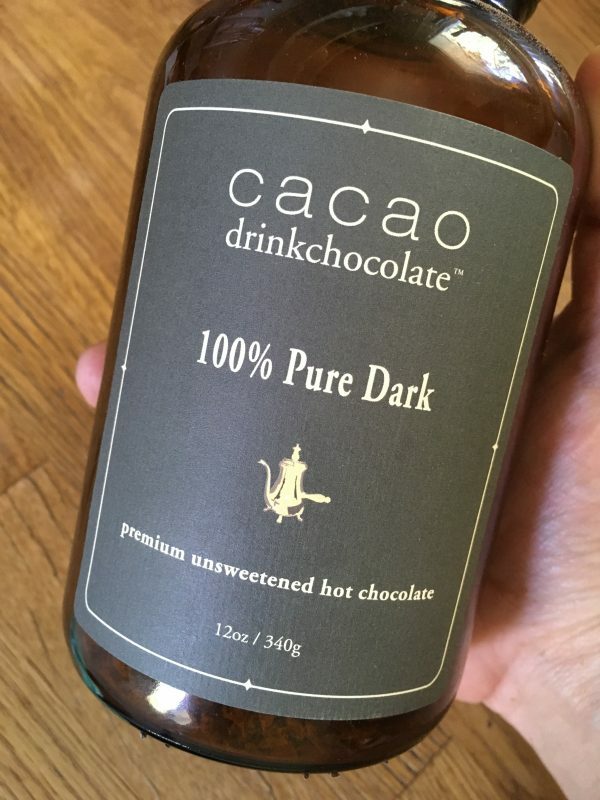 Remove pan from heat and add 8 tablespoons of Cacao Premium Drinking Chocolate mix and let rest for a minute. 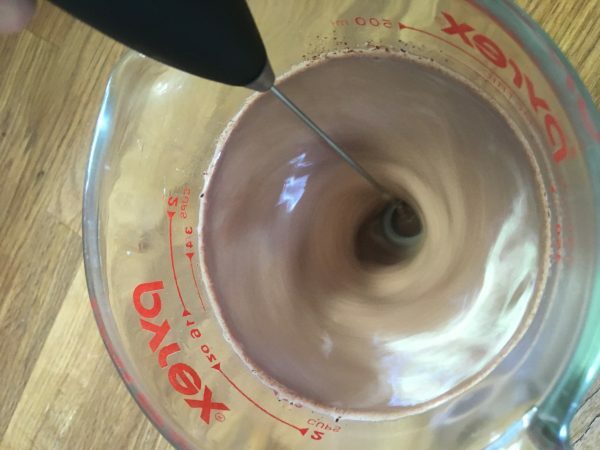 Continue whisking and occasionally scraping until the drinking chocolate is completely smooth. 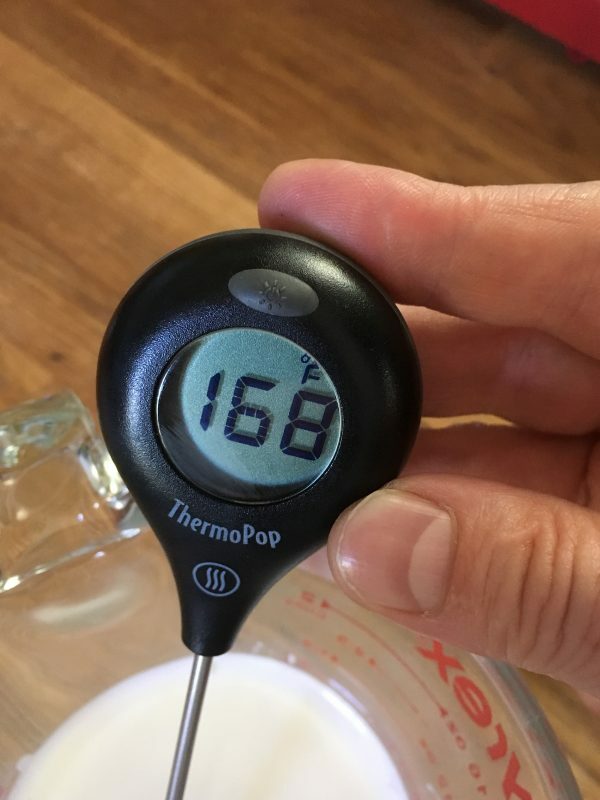 If it looks clumpy on the back of a spoon or the rubber spatula continue to whisk and gently heat. Makes Fresh Truffles, Coconut Chocolate Spread, Chocolate Glaze etc. 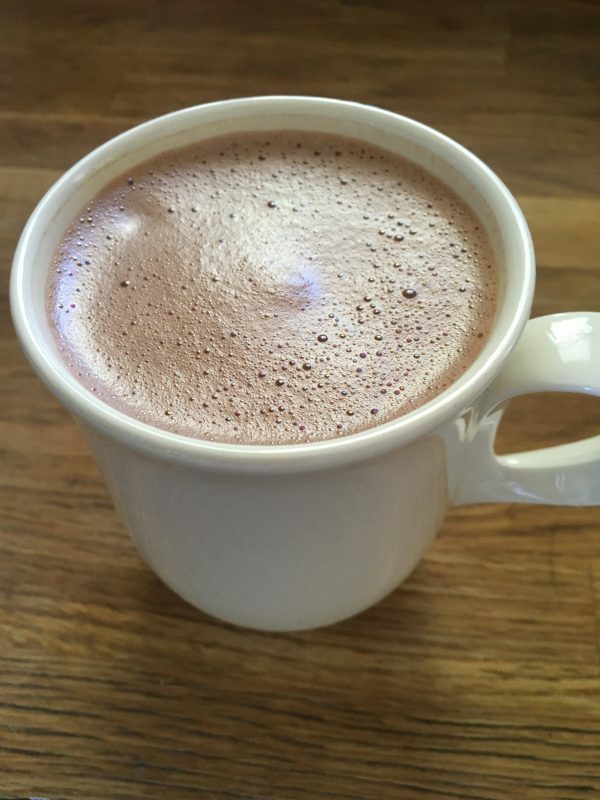 Heat 8 Tbsp Coconut Milk and 8 Tbsp Cacao Premium Drinking Chocolate Mix on low heat in a small sauce pan until completely smooth and melted. Be sure to whisk and scrape with a rubber spatula frequently. Coat each ball in cocoa powder, ground nuts, toasted coconut, spices, your favorite granola etc. Or for simpler use spread ganache onto a piece of toast, eat with a spoon or otherwise enjoy. 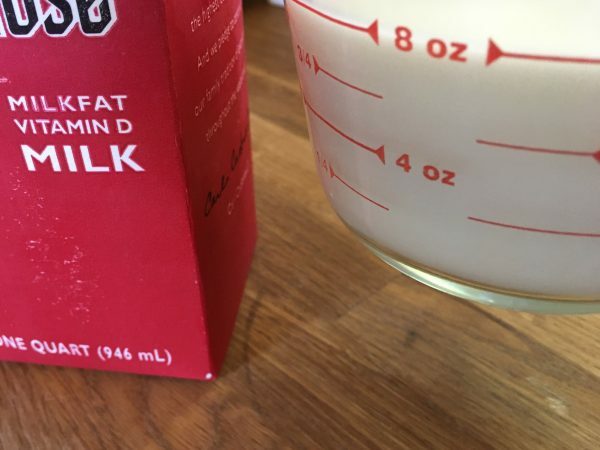 Adjust quantities of chocolate and coconut milk according to use- more milk will make a thinner, lighter texture; less milk will make a firmer texture. *If you add a few tablespoons of coconut oil to the heated chocolate and coconut mixture before you cool it then it will make a great shiny chocolate glaze.